Richard Nikoley is one of the most prolific – and notorious – voices in the overlapping spheres of the paleo, low-carb, and keto worlds online. He is the author of the book Free The Animal: How to lose weight and fat on the Paleo Diet ( Amazon US / Amazon UK ) and FreeTheAnimal.com, where he writes about everything from health, fitness, philosophy, politics, to culture (and more), and he has published over four thousand posts throughout the years, engaging an audience that has contributed over a staggering hundred thousand comments (and counting). Richard is an unapologetic straight-talker who is driven to help people reach their full potential in all areas of their lives, even if it means rocking – or outright sinking – a few boats. QUESTION(S) OF THE DAY: What other low-carb, keto, and paleo-related websites do you enjoy checking out regularly (and why)? Please let me know in the comments at the bottom of this post. Hey Lawrence, just finished listening. Congratulations! Liked that interview very much. Cheers Mr. Nikoley, your interview and the shared viewpoints resonated with me! So my post is Thumbs Up! Loved the Couch potato example… Relativity is part of our world and we should remember about it always, especially when we make our judgment on any theory’s validity… Diet or Exercise. Also loved the realistic view on various topics…much debated here on this site. By the way Lawrence, I can’t wait for the Mr. America John Heart’s interview to come out. I already listened to one another interview with him and I’m curious what the Paleo, Low carb, Smart gains training crowds will react to the facts, that he eats Mike Mentzer’s reccomended diet….abt 90 grams of protein when pre contest dieting… on 1500 calorie diet in his own words..even less fat….e.g. figure the carbs youself… Eating simple sugars?! 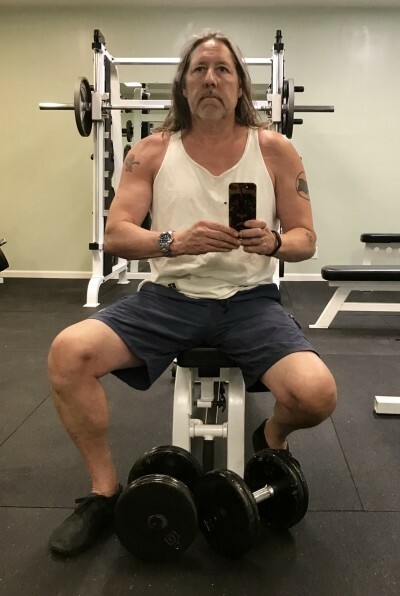 and stating that calories cycling matters most… But instead the looks of a Wise but physically unappealing Guru, he is one of the very few HIT guys out there, that talks the talk and walks the walk. He won the Title at 47 and now over 50, just looks phenomenal too. I can totally see that. Every time I drink booze it becomes less and less appealing. Aside from 1 or 2 beers during a sports game / with friends and family, but the binges are VERY unappealing these days. Thank you Kamen. Really appreciate your feedback as always. Likewise, can’t wait to speak with John :D.